Democratic gubernatorial candidate Jack Conway is concerned about the influence that a conservative 501(c)(4) group could have on Kentucky’s fall elections and beyond. Americans for Prosperity was founded in 2004, and was led by David Koch of the billionaire, right-wing Koch brothers fame. The group and its network of undisclosed donors spent $40 million in 2010 to wrest control of the U.S. House from Democrats. And with the recent announcement that the group has hired a director for its Kentucky chapter, Attorney General Conway says he’s concerned that the network of “dark” campaign money will warp Kentucky politics. So far, Conway is the lone Democratic candidate running for governor in 2015, and says he plans to use his own PAC to combat the tide of money that is sure to pour into Kentucky this fall and the next. Conway announced Tuesday his campaign has raised $750,000 dollars since it began in early May. Hal Heiner is the GOP's only declared candidate so far, attempting to replace the term-limited Gov. Steve Beshear. Kentucky Attorney General Jack Conway officially announced in a video press release on Tuesday his candidacy for governor, adding that he has tapped House Democratic Caucus Chair Rep. Sannie Overly, D-Paris, as his running mate. Conway has served as the state’s Attorney General since 2008. Overly, a Democrat from Paris, was first elected to the Kentucky House of Representatives in 2008, and in 2013 became the first woman in state history to be elected Caucus Chair by House Democrats. Conway is the first Democrat to announce his candidacy in the 2015 gubernatorial election; former Louisville Metro Councilman Hal Heiner, a Republican, threw his hat into the ring earlier this year. Former Lexington urban-county council member K.C. Crosbie is Heiner's running mate. Citing a need to be with his family, Democratic Kentucky State Auditor Adam Edelen has declared he won't run for governor next year. Speculation was rampant that Edelen would enter the contest, but he quelled it with an announcement Wednesday. 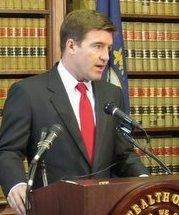 Attorney General Jack Conway is currently the only Democrat seeking the governor's office. Edelen says he is withholding any endorsements until more candidates enter the race. But he thinks Conway will benefit from greater name recognition among voters. 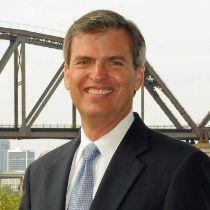 Republican Hal Heiner of Louisville is the only Republican to announce a gubernatorial candidacy so far. 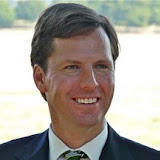 Edelen says he is “absolutely” considering running for governor in the future. A prominent Republican says former Louisville councilman Hal Heiner will kick off his campaign for Governor Tuesday in Lexington, joining with another urban Republican for his running mate. Former state GOP chairman Bob Gable says Heiner will introduce former Lexington-Fayette County Councilwoman KC Crosbie as his running mate. Crosbie ran for state treasurer in 2011, narrowly losing to Democratic incumbent Todd Hollenbach. Gable said Crosbie is an excellent campaigner and said Heiner's selection of her for the ticket is "ingenious." Gable says he believes Heiner will be the Republican nominee for Governor and that he showed his vote-getting ability in the 2010 mayoral race in Louisville. 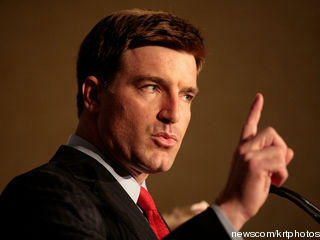 Heiner lost a hard fought campaign in that 2010 race and also served two terms on the Louisville Metro Council.